Wellington Marina is located one hours drive from Adelaide in the Wellington East area across the river from the Wellington township. The Murray River in front of Wellington Marina is quite deep, being one of the largest river systems in the world and is home to an abundance of wildlife and vegetation. Along the river there are many townships to explore and enjoy by boat. 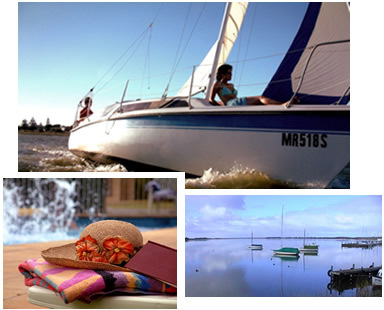 There are marina facilities where boats can moor while enjoying a restaurant or the local heritage. Living on the river at Wellington Marina is a very peaceful and relaxing environment. It is ideal for all types of people…… retirees, growing families to working commuters……. its just a great place to breathe.